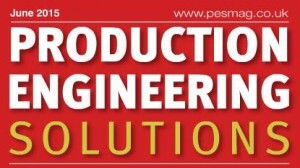 Parker Precision are proud to feature in the June ’15 edition of Production Engineering Solutions Magazine. Associate Editor, Ed Hill visited our Bilston based precision engineering factory to see how recent investment in new machinery is creating new opportunities for the company. To read the full article visit http://magazine.pesmag.co.uk/2015/june/ and turn to page 17.